Price listed for each caliper. 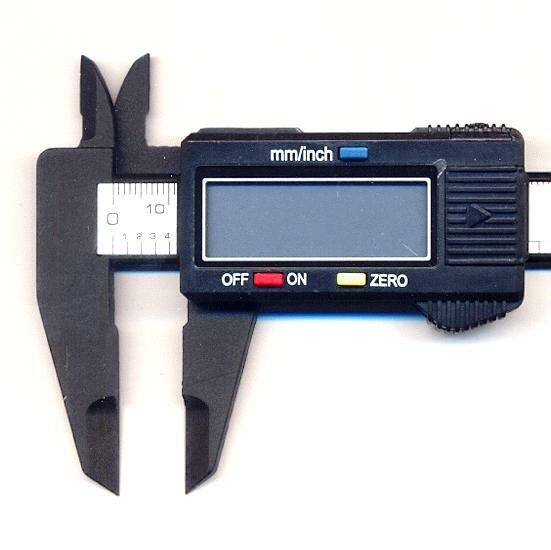 These are 6'' electric digital calipers. 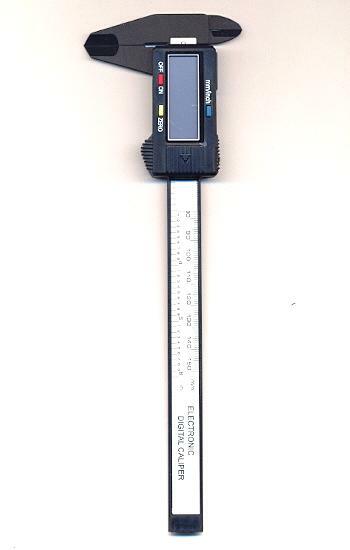 They measure from 0-6 inches and 0-150 mm. These are great for measuring stones and other jewelry pieces. These have a large LCD display that can convert from milimeters to inches. They require one 1.5V (SR44) button battery which is NOT included. If you don't know what size stones you have or need, you really need a pair of these! THESE ARE MADE OF CARBON FIBER COMPOSITES.